When Apple launched the new MacBook Pro, the biggest change to the computer was the addition of the Touch Bar. The Touch Bar replaces the function keys with virtual keys that change depending on the currently running application. 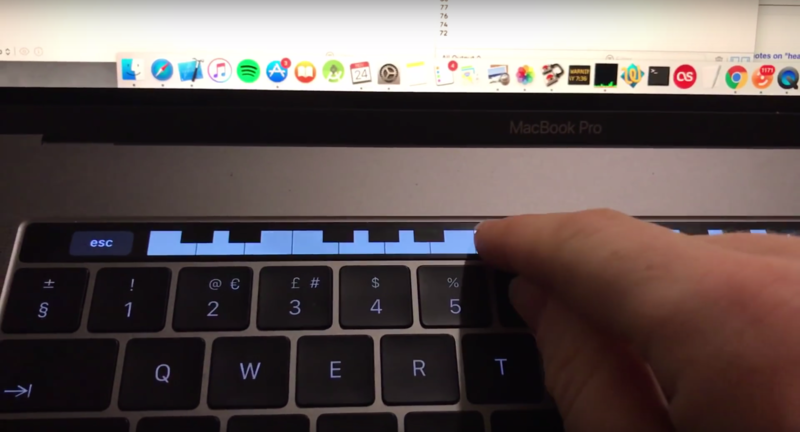 Apple showed off a bunch of uses for the Touch Bar at the unveiling of the computer, including enabling DJs to control the music they’re playing. Have you been looking for ways to make music from scratch? There’s an app for that! This app probably isn’t going to be particularly useful if you’re an actual pianist. However, if you just wanted to play around with some melodies, it could be a very cool app.